It's Dole with a twist! 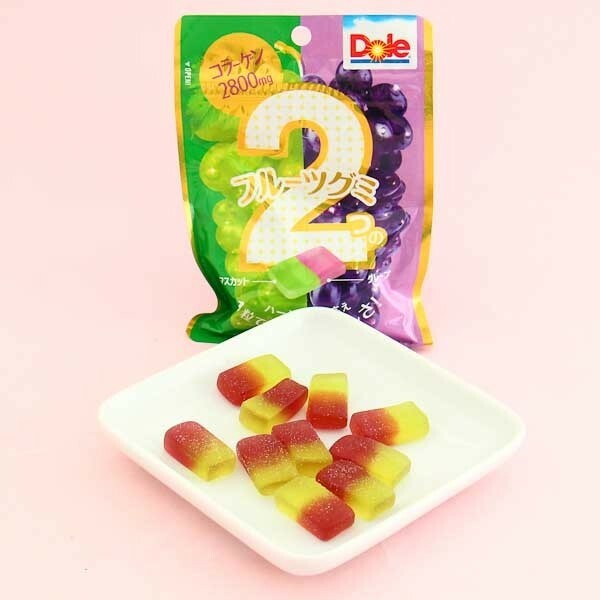 These Dole gummies mix the sweet flavors of grape and muscat grape creating a delicious fruity-flavored gummy candy! 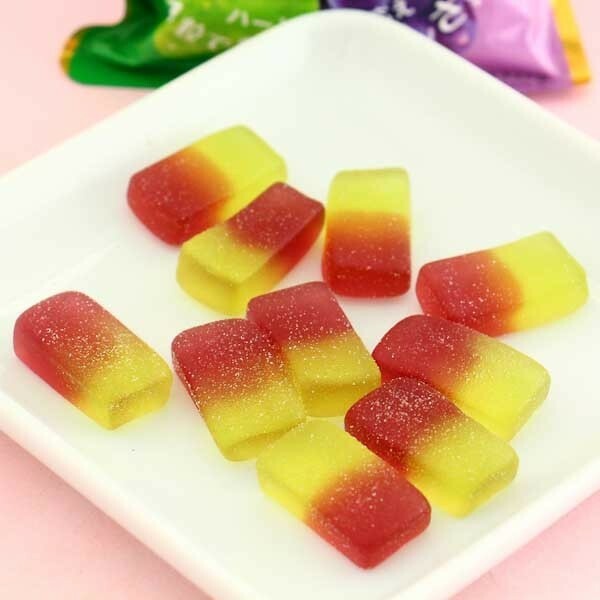 The super soft candies have the one side of green grape and the other of purple muscat grape to give them that unique, mouth-watering flavor! The cute re-sealable bag is easy to take with you anywhere you go! Enjoy them by yourself or share with your friends & family! Yum!